JAKARTA, Indonesia (AP) — A volcano erupted Wednesday on the same central Indonesian island struck last week by a powerful earthquake and tsunami, but no evacuations were ordered. Mount Soputan on the northern part of Sulawesi island spewed ash more than 6,000 meters (19,700 feet) into the sky in the morning. Lava was visible at the summit during an evening eruption that sent up another ash column. The danger zone around the peak is small and has no residential areas, officials said. “It could be that this earthquake triggered the eruption, but we have seen an increase in volcanic activity since July and this began surging on Monday. Yet we can’t say there a direct link, as the mountain is quite far away,” Kasbani, the head of Indonesia’s Volcanology and Geology Disaster Mitigation Agency, said on local television. Kasbani, who uses one name, said planes were warned to avoid the area. Volcanic ash is hazardous to plane engines. Soputan’s eruption status was raised from an alert to standby 4 kilometers (2.5 miles) from the summit and up to 6.5 kilometers to the west-southwest. National disaster agency spokesman Sutopo Purwo Nugroho said at a news conference in Jakarta that no residential areas are within the 4-kilometer radius. The volcano agency said the public should avoid the area nearest the volcano and have masks available in the event of ash fall. Nazli Ismail, a geophysicist at the University of Syiah Kuala in Banda Aceh on Sumatra island, stressed there was no concrete evidence to show the two incidents are linked. 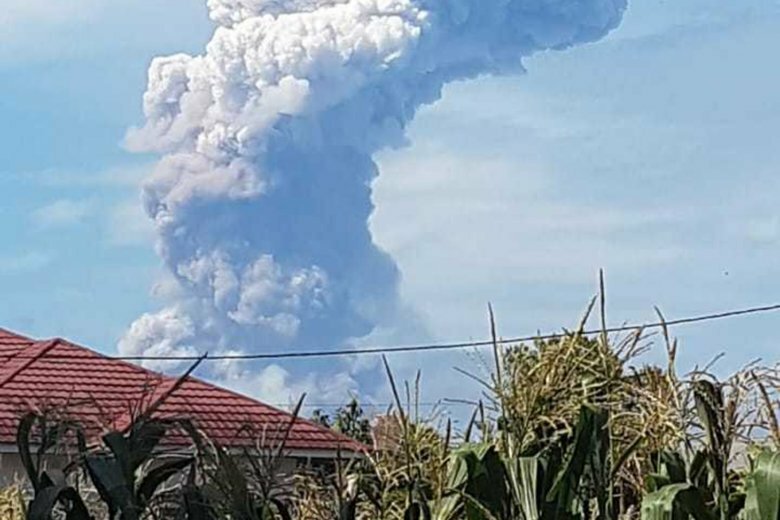 The eruption would not affect planes transporting aid and supplies to the quake disaster areas, Nugroho said. The earthquake set off a tsunami and both devastated several communities, causing more than 1,400 deaths and displacing more than 70,000 residents. The two areas are about 940 kilometers (585 miles) apart, and Nugroho said the volcanic ash was blowing in a different direction from Palu, the largest city in the quake disaster zone. He said it hasn’t disrupted plane services or affected any evacuations from the disaster areas. Nugroho denounced as hoaxes videos that appeared on social media allegedly showing villagers fleeing billowing volcanic smoke and a smoldering lava river. The videos appeared to show old eruptions elsewhere. Government seismologists monitor more than 120 active volcanoes across the Indonesian archipelago.